Siding can not only give your home a brand new, updated look, but can also increase the energy efficiency, which is almost more important! 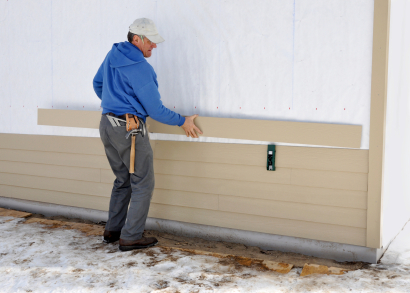 However, siding installation can also be quite an undertaking for even the best do-it-yourselfer. That's why your best bet is to contact skilled siding installation contractors to help you with whatever your siding repair, replacement or installation needs may be. A local siding installation company will be able to guide you through the entire process, keeping your mind and body at ease! Choosing the right siding for a home or other building can have serious consequences. Just getting a new appearance can mean a lot in terms of enjoying your home more, but the best facelift can also increase your building's curb appeal and re-sale value. Some sidings require more maintenance, while others work better in specific climates. There is a price range differential to be considered as well as insulation factors and ease of installation. Architectural design may also play a part in your final choice. Fortunately, most sidings today come in a variety of colors, textures, and materials so that you can choose a look you can live with for years. Vinyl siding, made of polyvinyl chloride may be the most common choice for many Americans today. At $2-$3 per square foot, it is relatively inexpensive and looks good if it is installed correctly. The color choices abound, and the paint extends through the materials so scratches don't show. Although some fading may occur after 5 years, maintenance is limited to washing with soap and water annually. Designed to expand and contract in weather extremes, areas of excessive moisture can cause a problem with dampness trapped beneath the siding that can lead to rot, mildew, decay, or bug infestation Installation is quick and easy and the product may come with a 50 year warranty. Steel /aluminum siding was most popular immediately after WWII, and is still used for commercial buildings, garages, sheds, and barns. Materials plus installation can run $3-$5 per square foot. This relatively maintenance-free siding is durable but can be dented. The color may fade; however, repainting provides different appearance options. Because it expands and contracts, it is ideal for extreme climate conditions and adverse weather. This siding has a long life span, although rust can be a concern in wet areas. It is also more difficult to install than vinyl. 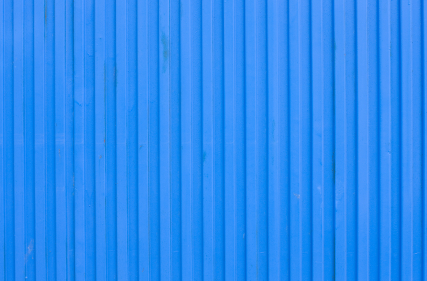 Steel siding has a green product life cycle, which means that it can be repurposed and reduce the environmental impact. Wood or log siding may be one of the most expensive finishes at $3.50-$6.50 per square foot, but it is also one of the most beautiful choices. You may choose pine, redwood, or cedar finishes in smooth, knotted, or hand-hewn textures. Sometimes, especially near the ocean, the cedar may be left to age naturally; otherwise paint or stain and repeated maintenance will be necessary. Although the upkeep may be more than that for vinyl, with proper care, wood siding can last longer. Installation may be more difficult and time-consuming, especially over existing siding, and because of the caulking and finishing, but repairs are relatively easy. With no design limits, the choices include traditional clapboard, log cabin, shiplap, shingles, shakes, and custom novelty patterns.